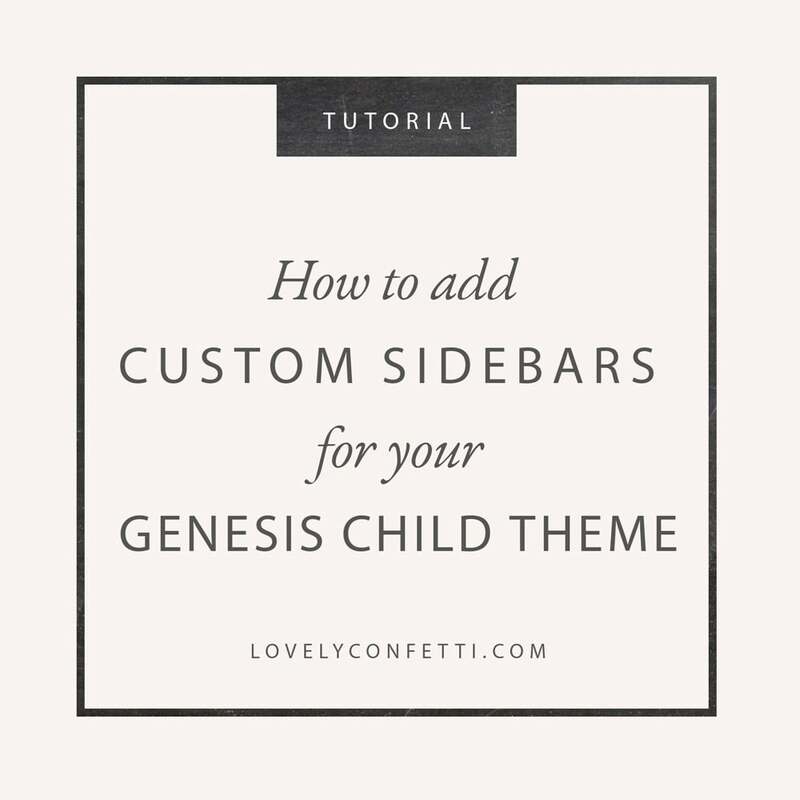 In this tutorial I explain how How to add custom sidebars for your Genesis Child Theme. If you have been using a Genesis Child Theme, you probably have noticed that your theme displays the same sidebar by default (Primary sidebar ) all across your theme pages, posts, archives, etc. unless the designer himself created a custom. 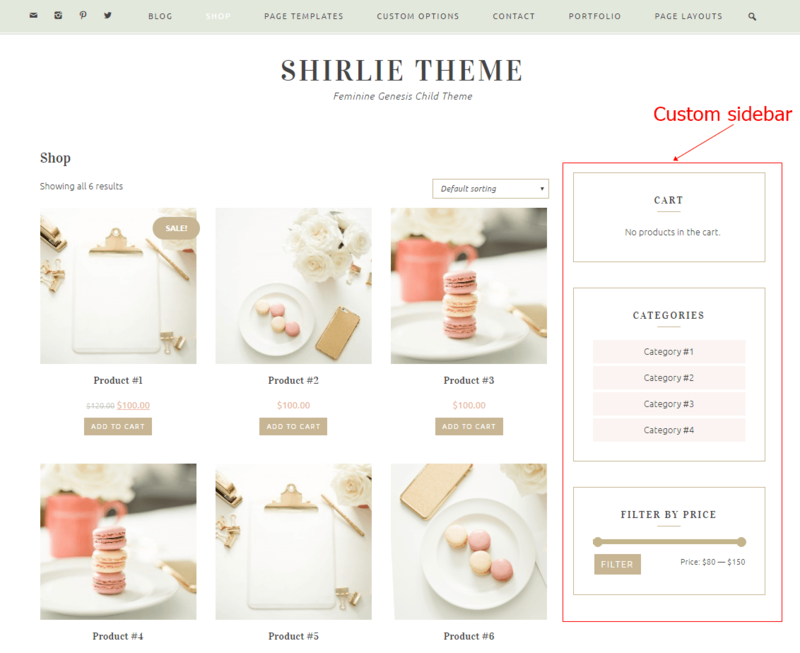 You probably prefer custom sidebars for some pages WooCommerce page, contat, about, services pages, etc.. 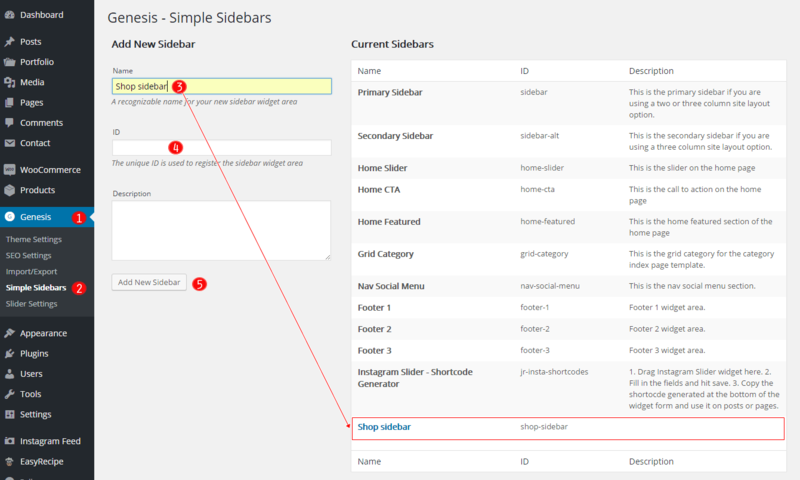 In that case, I recommend to my customers Genesis Simple Sidebars, this plugin allows you to create multiple, dynamic widget areas, and assign those widget areas to sidebar locations within the Genesis Framework on a per post, per page, or per tag/category archive basis. Type “Genesis Simple Sidebars” in the box and press “Search Plugins”. Once you´ve installed it, go to Genesis. Type your sidebar name (Example: “Shop sidebar”). Add ID, ( Example: “Shop sidebar”). Now, you will see the new sidebar you´ve created in “Current Sidebars”. And there you have it! 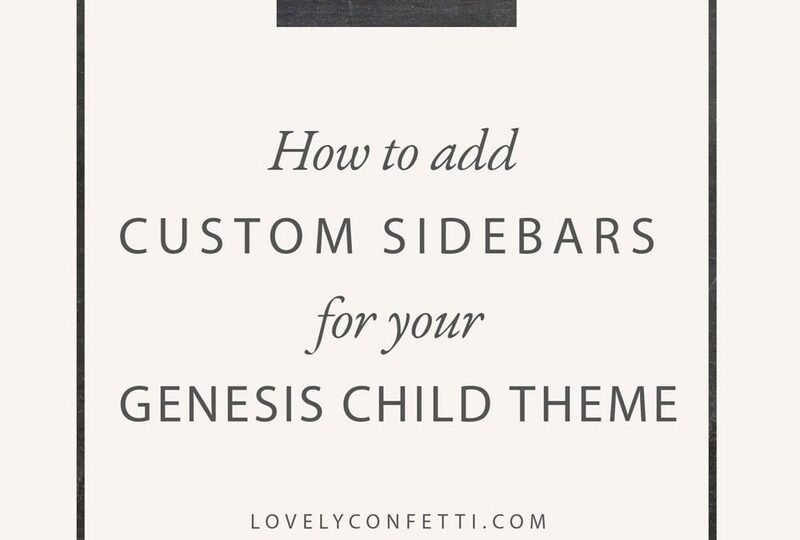 A custom sidebar for Your Genesis Child Theme. 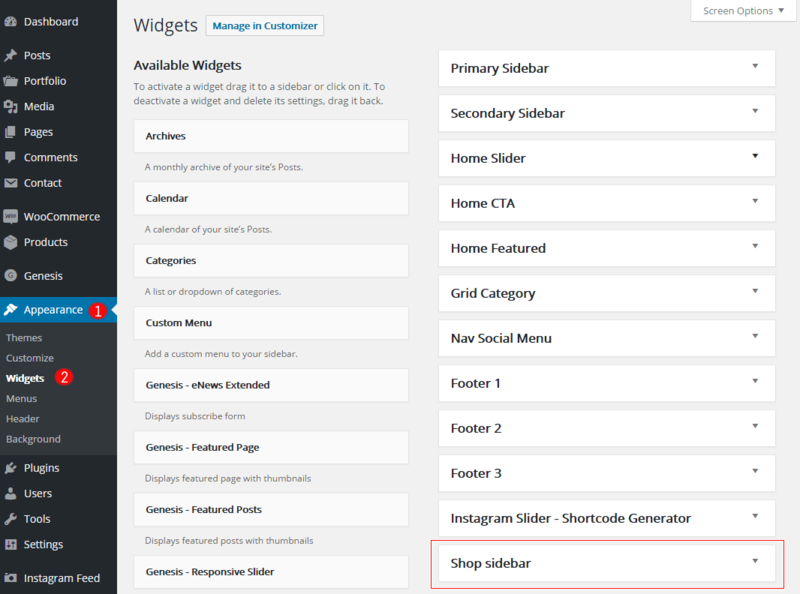 Now, you can drag your widgets (texts, cart, categories, best sellers, custom menus,etc.) to the new sidebar. You can add as many custom sidebars as you want. In this tutorial I show you How to translate your Genesis Child Theme to other language using the great plugin Genesis Translations. This plugin translates your Genesis Chil Theme easily with one of the available languages. No need to fuss about with your functions.php file or uploading .mo and .po files. Just install this plugin and you have it! Currently there are the following translations are available: Danish, Dutch, Italian, German, Finnish, Romanian, Vietnamese, Bulgarian, Swedish, Spanish, French, Indonesian, Turquish, Greek Hebrew, Polish, Portuguese, Portuguese-Brazilian, Hungarian, Japanese, Chinese and Icelandic. You can check the list of languages being worked on in this link. Type “Genesis Translations” in the box and press “Search Plugins”. This plugin has no configuration options, you only need to activate it and will be translated into the language in which we have configured your WordPress. You don’t need to modify WPLANG in wp-config.php file. All you have to do is go to Settings > General > Site Language, and select your language (or install a new language). 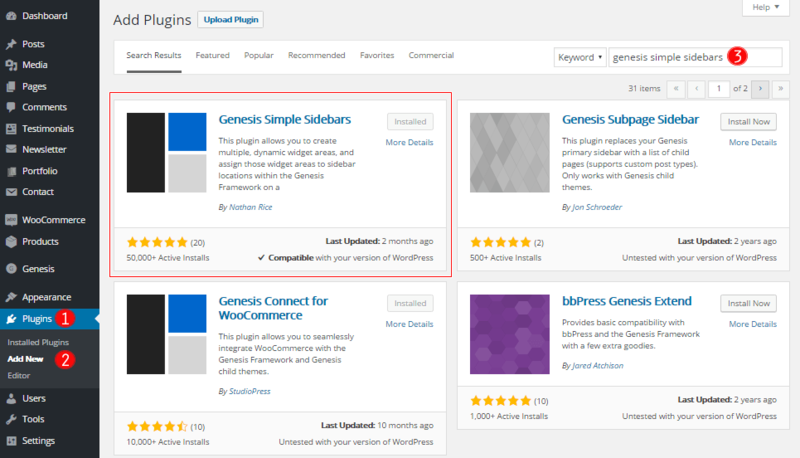 Many people ask me how to integrate Mailchimp with Enews Genesis Extended plugin. 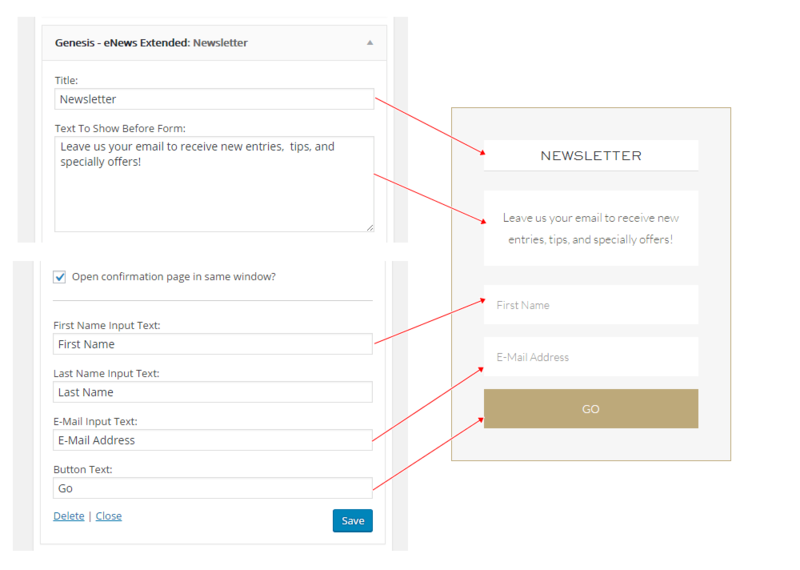 I recommend and pre-styled this plugin in all my Genesis Child themes so I´ve decided to create a tutorial where I´ll show you how configure Genesis Enews Extended to work with your Mailchimp form. I believe this plugin and Mailchimp make a great combination if you want to capture more subscribers and grow your subscriber list, something indispensable in email marketing campaigns. 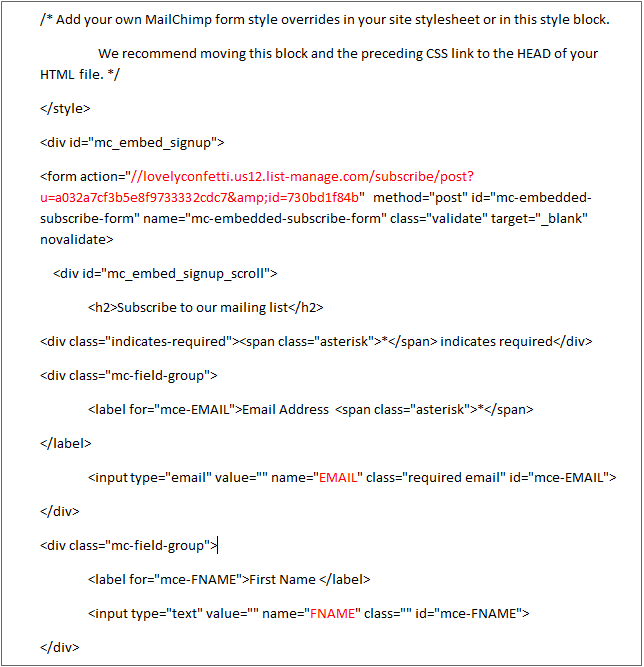 A Genesis Child Theme that integrates with MailChimp. 1.Log in to your MailChimp account. 2. From your account Dashboard, click Lists in the navigation menu. 3. Find the list you want to connect to your website, click the v button, and choose Signup forms. 5. In the Form Builder, you’ll see a Embedded form field like this. You don’t need all of this code, only parts marked in red color (URL between the quotation marks after the code action=. Do not include the "). 1. 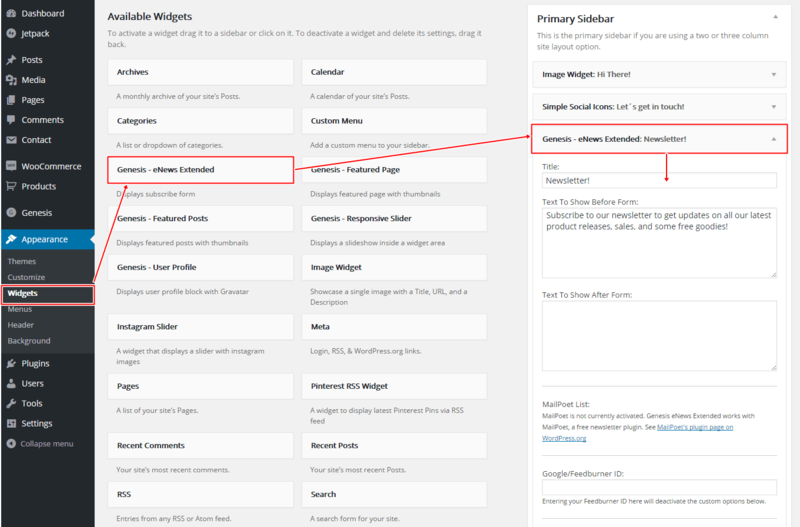 In WordPress Dashboard, go to Plugins > Add New section. Then search for “Genesis eNews Extended” and click install button under its listing. You can also directly download it from official page at WordPress plugin repository. 2. Go to Appearance > Widgets > Drag eNews Extended widget, into the Primary Sidebar, after entry,… areas you want. If you can’t see the widget options, click the down arrow to expand the widget. 3. Scroll down and look for the Form action. 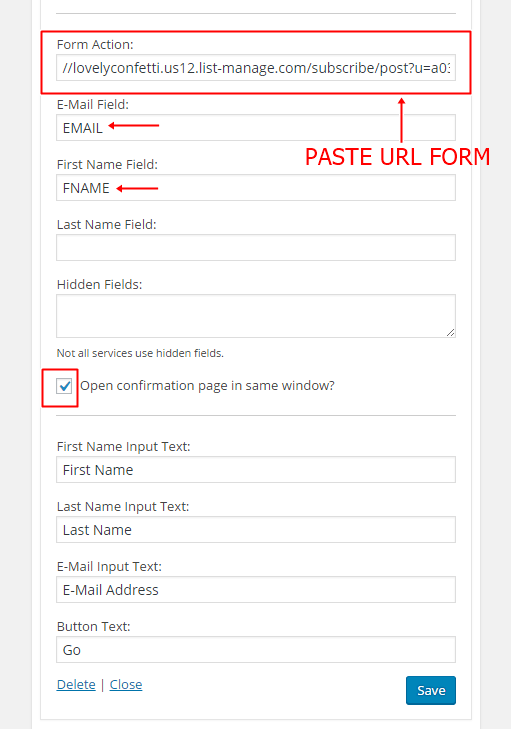 Form action: Copy/Paste your URL form. Fill in the Title for your form action. (optional) Add any text that you want to include above telling your readers why the sholuld subscribe. 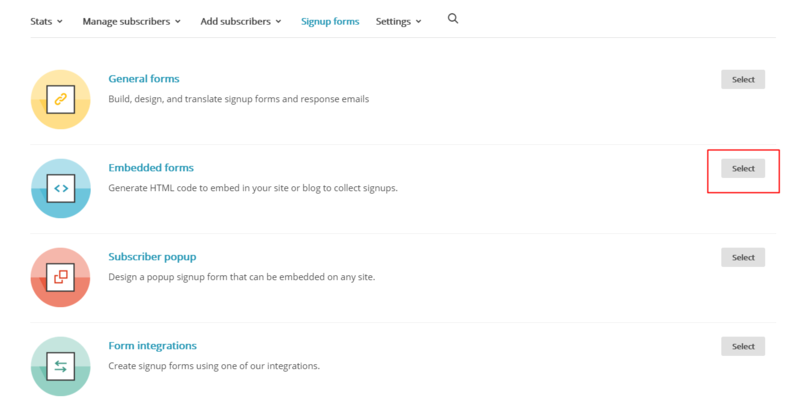 Now you have a nice MailChimp signup form in your website!